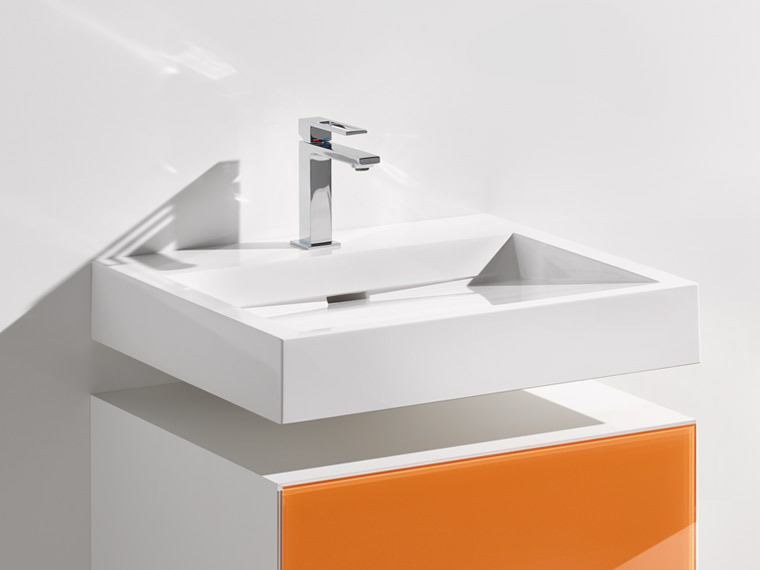 HEWI washbasins and fittings complement each other perfectly and, in combination, meet the highest requirements in terms of design, functionality and hygiene - both in the building and at home. 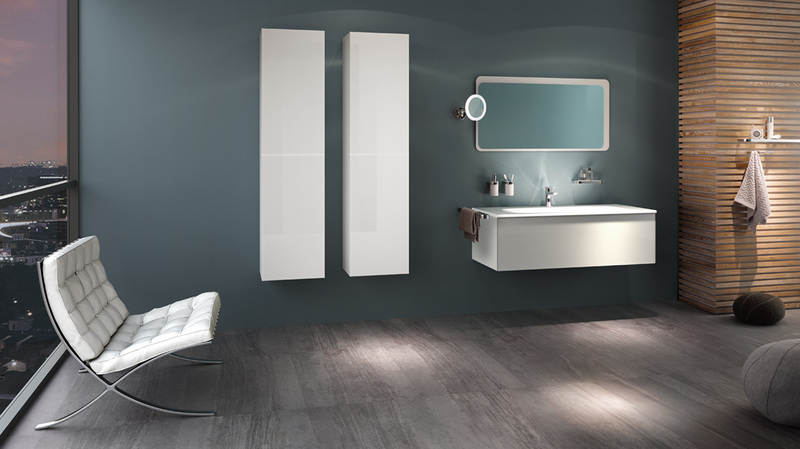 Discover the attractive sets at a special price! 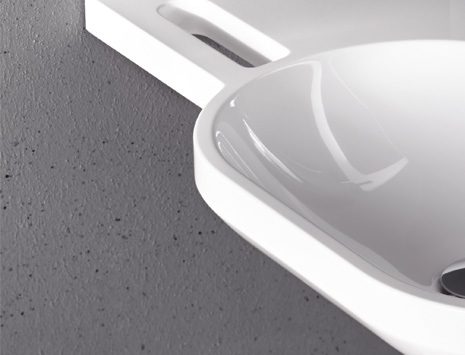 Purist design, an easy-care, high-gloss surface and functional design are what characterise the diversity of the HEWI washbasins made of mineral composite. 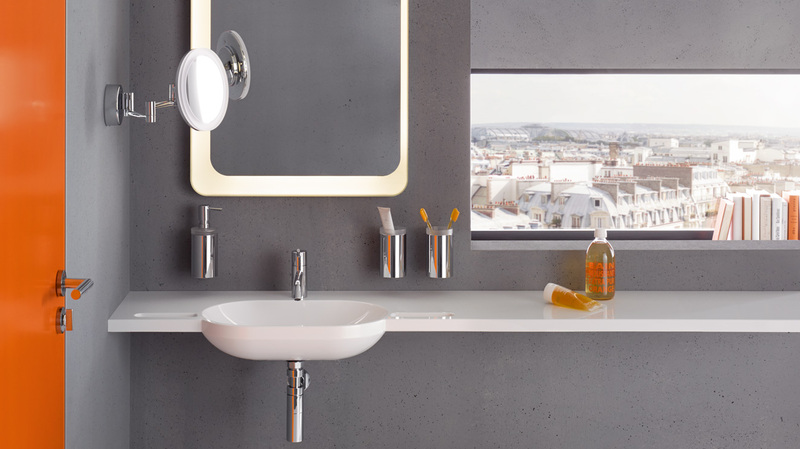 The large design selection offers suitable solutions for every bathroom size: Compact variants for the small guest bathroom, large double washbasins suitable for the family bathroom or accessible washbasins for the comfortable and convenient bathroom. 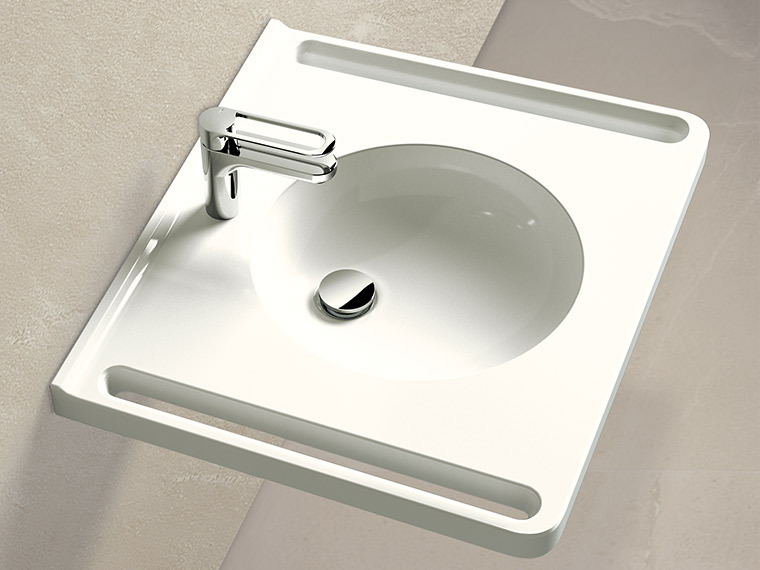 The made-to-measure variable length washbasins offer real design freedom – here the lengh of the washbasin is individually definable. 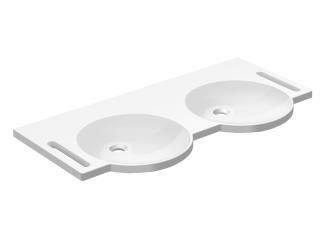 Thanks to the large choice of shapes, formats and functions, HEWI washbasins are versatile and can be used in many ways. 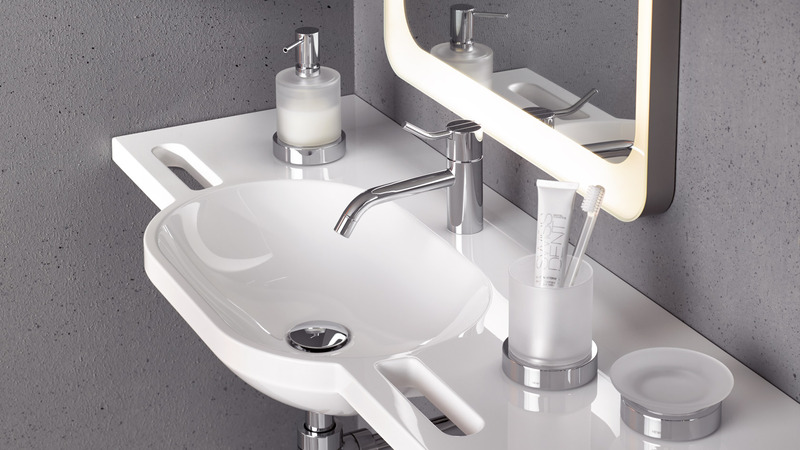 The mineral composite washbasins with their reduced style complement optimally the HEWI Bathroom accessories. 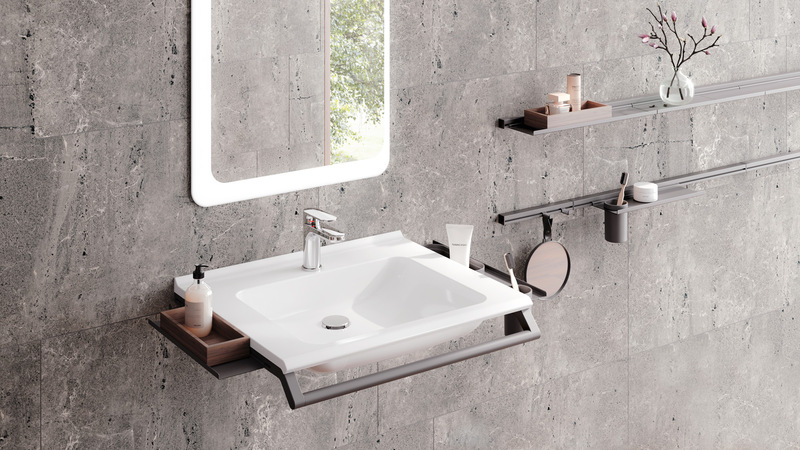 The innovative concept makes it possible to integrate an adaptive handle, which also serves as a towel rail, and a modular storage system directly on the washbasin. 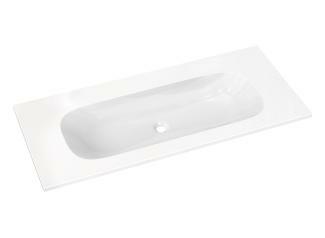 With a raised edge against the wall, the design of the accessible washbasins is particularly hygienic. 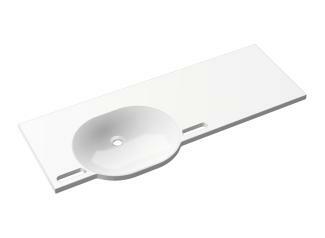 They have ergonomically shaped gripping slots. 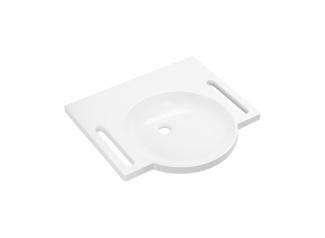 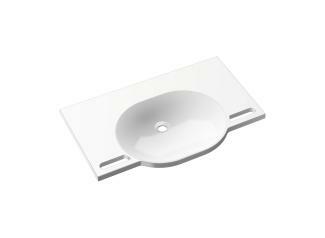 With their generously sized shelf areas, the easy-care washbasins made of mineral composite provide plenty of space for bathroom utensils. 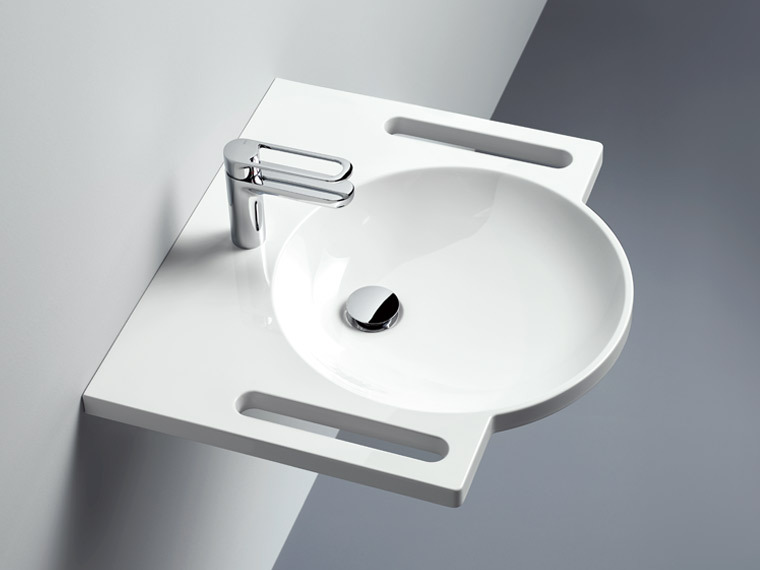 With the double washbasin, HEWI offers a further washbasin variant. 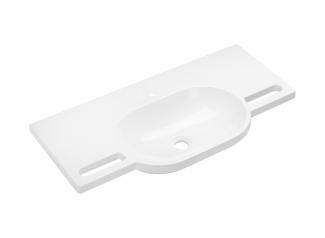 It has two round basins and gripping options at the side, which can also be used as towel holders. 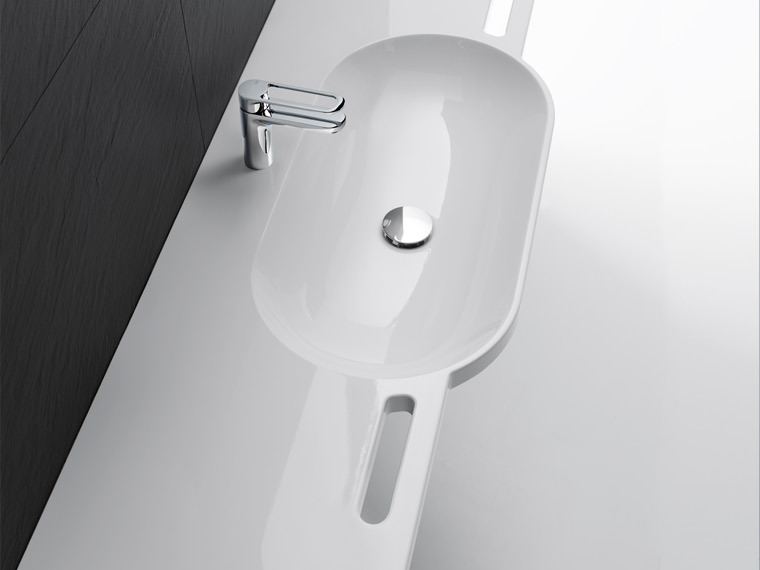 The variable length washbasins offer individual design options – here the customer can decide on the length of the washbasin himself. 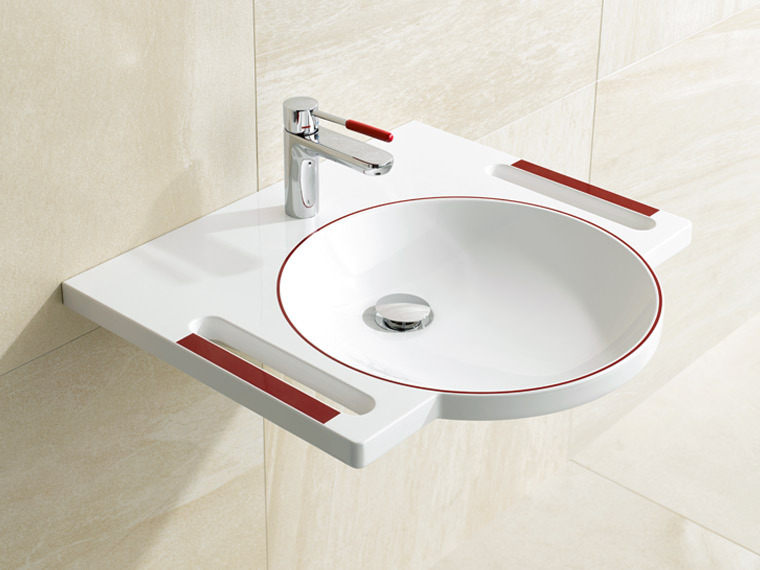 HEWI washbasins offer integrated accessibility. 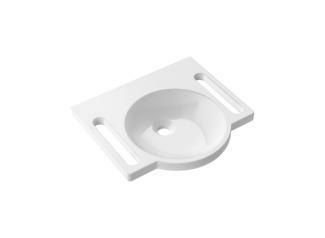 The shallow washbasin is wheelchair accessible and practical gripping slots provide reliable support. 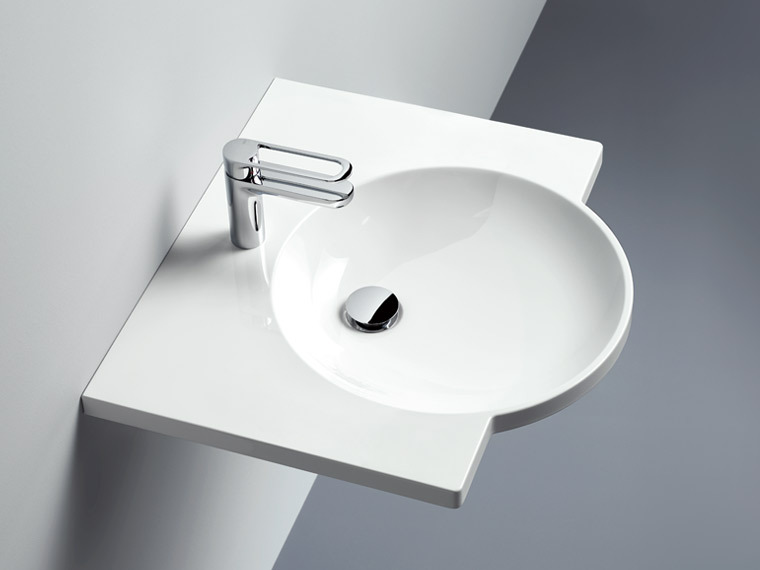 The washbasin range includes four variants. 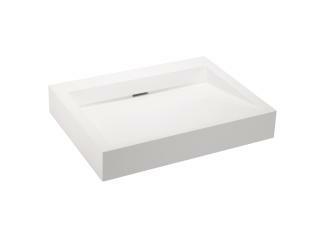 They can be mounted on the wall as a solitaire or combined with a matching base cabinet. 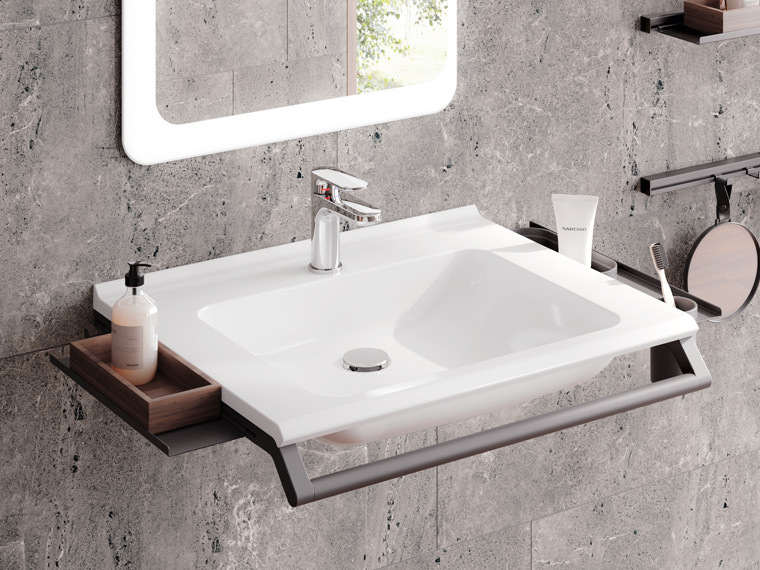 The rectangular washbasin for mounting on the wall has a convincingly striking, purist shape. 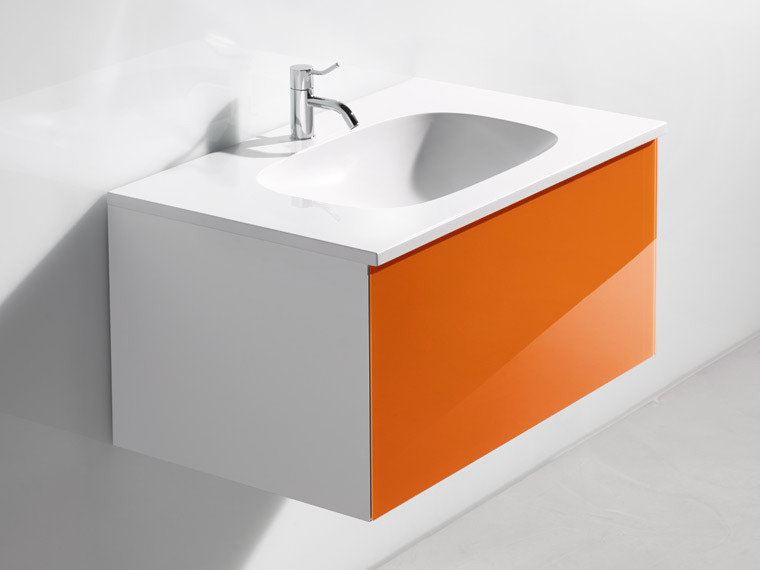 The highly contrasting, coloured marking on the washbasin facilitates orientation for persons suffering from dementia or failing sight. 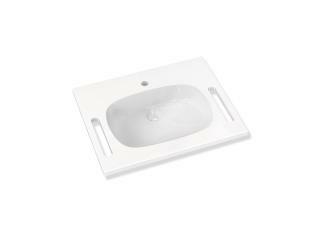 HEWI washbasins are made of mineral composite. 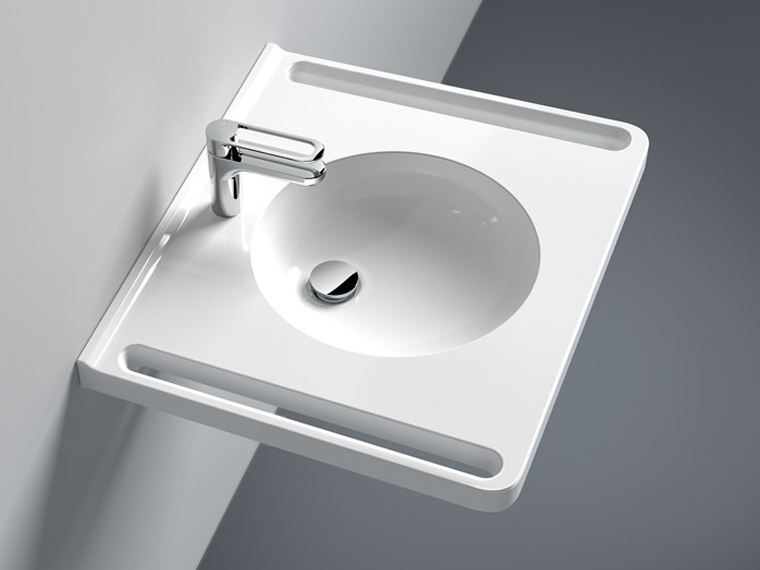 The material has many advantages: It is easy-care and particulalry hygienic. 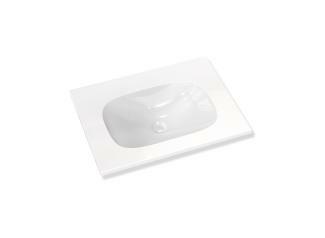 Compared to ceramic, mineral composite is less sensitive and more breakproof. 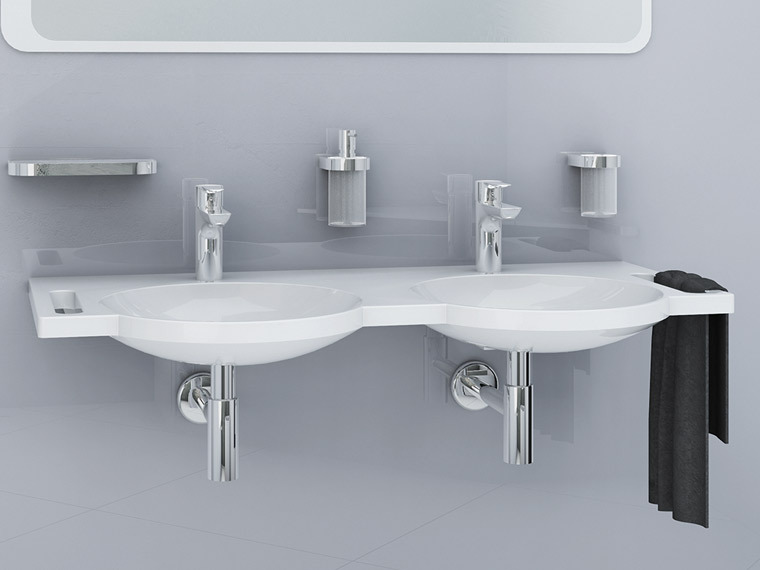 The washbasins made of high-quality mineral composite have convincingly clear style, load-bearing capacity and are hygienic. 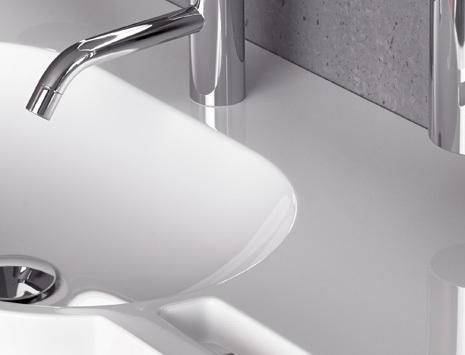 The gelcoat applied gives the washbasins their high-gloss, non-porous surface – this makes them particulary easy-care and easy to clean. 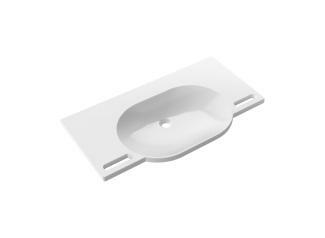 A clean, damp and soft all-purpose or sponge cloth and hand-hot water are sufficient to clean the mineral composite washbasins. Another advantage of the material is that minor damage can be removed effortlessly. 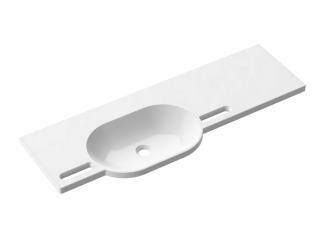 The washbasins are optionally available for single or three-hole fittings and for wall-mounted fittings. 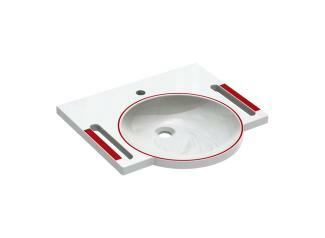 HEWI washbasins also have no overflow, this increases hygiene even more.